I first watched the film FRIDAY THE 13TH, the “haah-haah, shhh-shhh” original with Mrs. Voorhees protecting her misunderstood son Jason, when I was very, very young. In fact, one might say: inappropriately young. Come out on this Friday the 13th to see what effect that viewing had on my personality and overall well being. 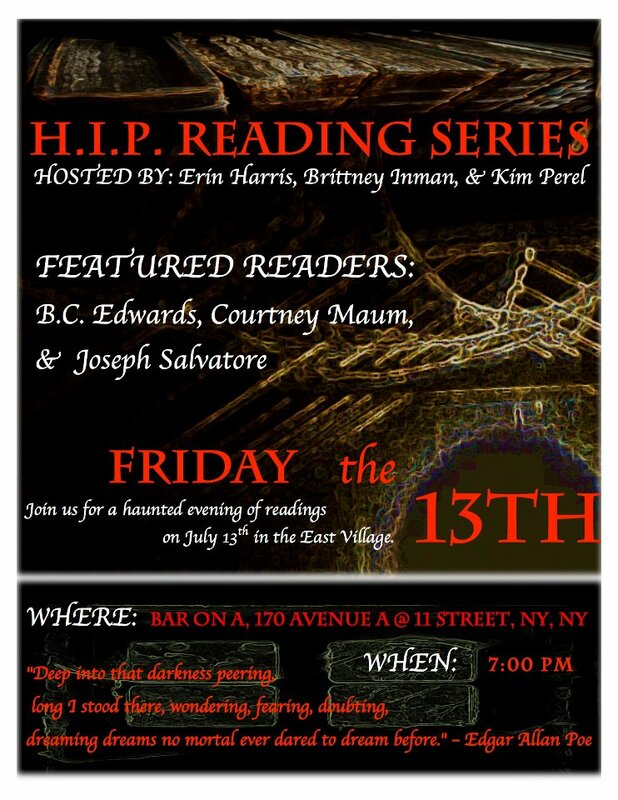 I will read from my own extremely psychologically revealing writing at the H.I.P. Reading Series, East Village, NYC, Ave. A & E 11th St., at 7 PM. Fellow readers will be the much more well-adjusted Courtney Maum and Carter Edwards. Special thanks to HIPster Brittney Canty!